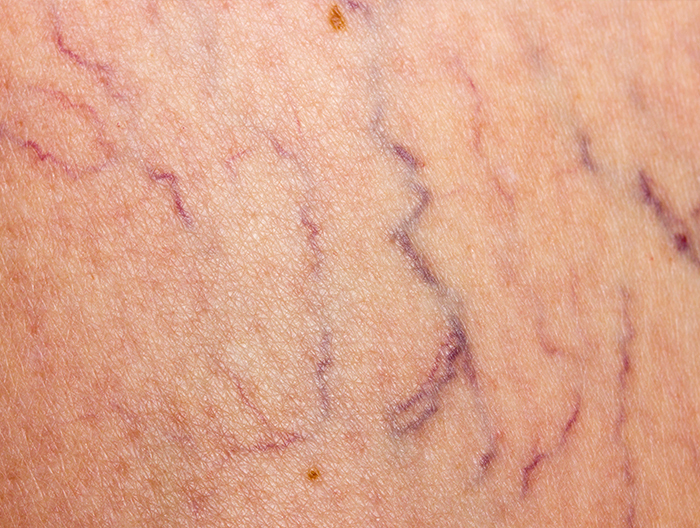 A number of risk factors and causes are associated with varicose veins. Genetics, gender and age play a big role in their development, as do factors like your diet, exercise, weight and even alcohol consumption. Here’s how alcohol affects varicose veins. Varicose veins are a condition related to blood circulation, so it’s important to understand how alcohol affects circulation as well. The circulatory system—made up of your heart, veins, valves and arteries—pumps blood throughout the body. It works especially hard to pump blood from the lower parts of the body back toward the heart, against the flow of gravity. When you drink alcohol, you increase your heart rate and, therefore, your rate of blood flow. This has a simple cause-and-effect result: more blood flow means a greater strain on the veins, particularly those in the legs that are already working harder to pump blood back to the heart. Alcohol also has a dilating effect on the veins, which makes it even more difficult to circulate blood. It’s also important to know how alcohol affects the liver, which filters blood throughout the circulatory process. Alcohol overloads the liver and weakens its ability to properly filter blood. As a result, a greater number of toxins and waste are present in the blood than normal. This causes the blood to thicken and become more viscous, which in turn makes it even more difficult for veins in the legs to pump blood back up toward the heart. Alcohol is not considered a direct cause of varicose veins—it cannot cause the condition if no other risk factors are present. For people who do have other risk factors, though, alcohol can be a significant catalyst in making these kinds of venous conditions far more likely to develop. It can also make existing symptoms worse, including swelling and tired or heavy legs. If you already have varicose veins or have genetic, gender- or age-related risk factors that signal a higher level of risk, it’s recommended that you lower your alcohol intake or eliminate it altogether. Your doctor or vein specialist can offer further recommendations when it comes to alcohol and varicose veins.